Yana seems like forever ago. It's been a crazy path since then, and I wanted to give a little update into what I've been doing over the past months. Check out a summary of some of my favorite projects here and then head over to my projects page for even more. 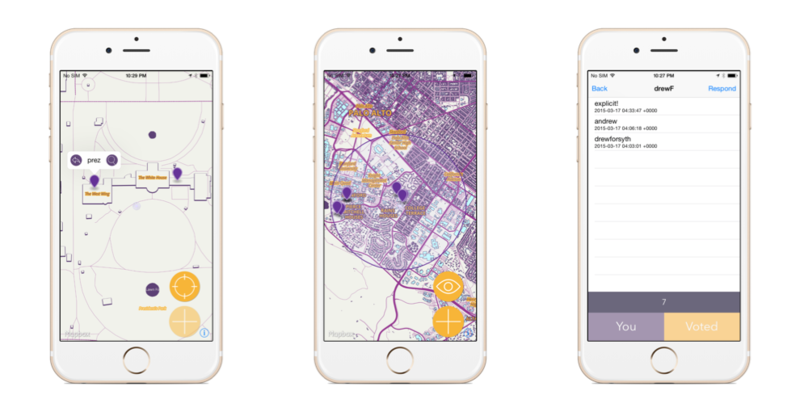 Audity is a mobile app that lets you record a sound and leave it in a physical place to be found by others later. "Audities" can only be heard when the user is physically near the place where they were originally created. When you open Audity, you hear a combination of the audities surrounding you, and as you move, you hear the sounds around you change, as if you were walking through an auditory history of a place. You can focus in on one particular Audity and even leave audio responses for other people. How much people like or dislike an Audity determines its prominence in the soundscape. Audity was a final project for Mobile Music, MUSIC 256B at Stanford University. My project partner and I have continued work on it (to the point that the screenshots above are slightly dated) and are actively working to publish it in the App Store. Stanford Design Consulting is a student group at Stanford that aims to match students who have interest in design (from the research, visual, or engineering perspectives) with companies who are looking for some design help. Our team was paired with Venmo. We were given a pretty general prompt that led us to interview a lot of Stanford students to identify key personas on college campuses. According to the personas we developed, we proposed a few new features or products that Venmo should implement to distinguish themselves in the world of mobile payments. 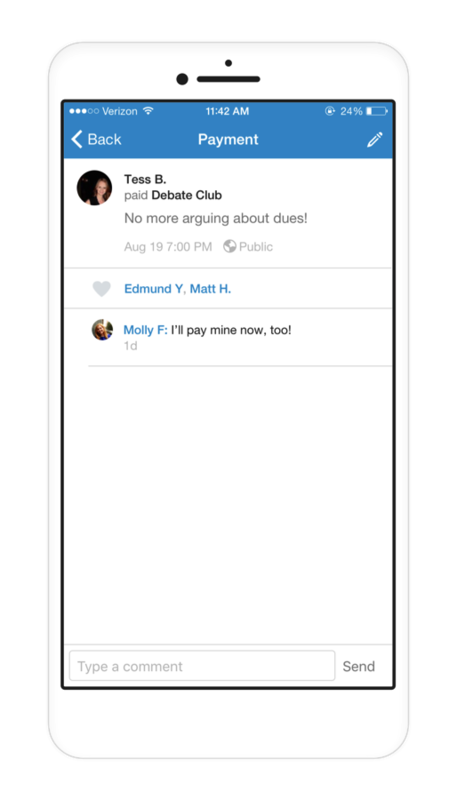 One of those suggested features launched in beta in the Summer of 2015 in the form of Venmo Group Accounts. The feature even made it to Product Hunt. I won't take full credit for this idea among our team, and I doubt it was a new idea when we presented it to the product team we worked with, but it's really great to see something in production that we worked on. Also, in the image below, from the product announcement, you might see someone named "Matt H." Just saying. LinkMe is (as far as I know) the first RSS keyboard. Plug in your favorite RSS feeds into the container application (iOS only for now), and LinkMe will subscribe to them. When you want to post or share a link from one of your favorite websites, simply switch to the LinkMe keyboard, tap the headline, and hit Return! LinkMe came from a personal use case. I send a lot of links to tech blog articles every day, and I wanted an easy way to send them. I'm an Android user, but I know how to write iOS apps well, so I put together an iOS version in a week while I had some time. It's currently waiting for review for submission to the App Store.